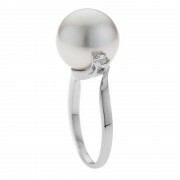 Be swept away to the city of love, Paris, in this dreamy ring. 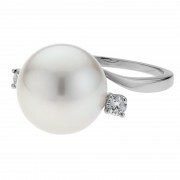 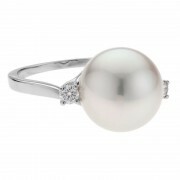 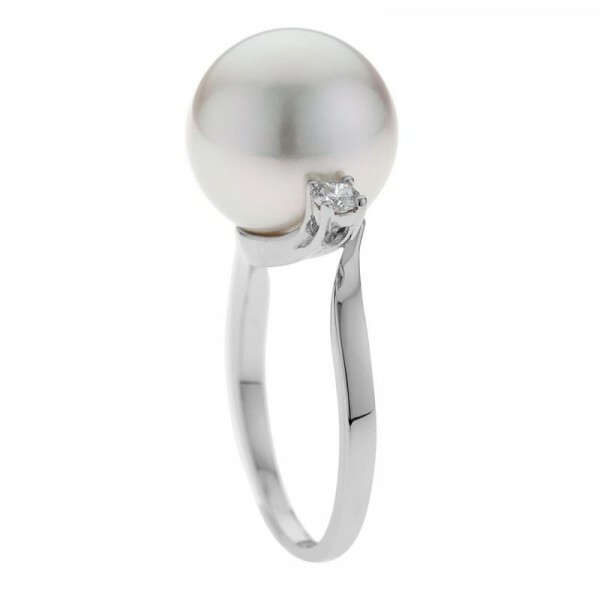 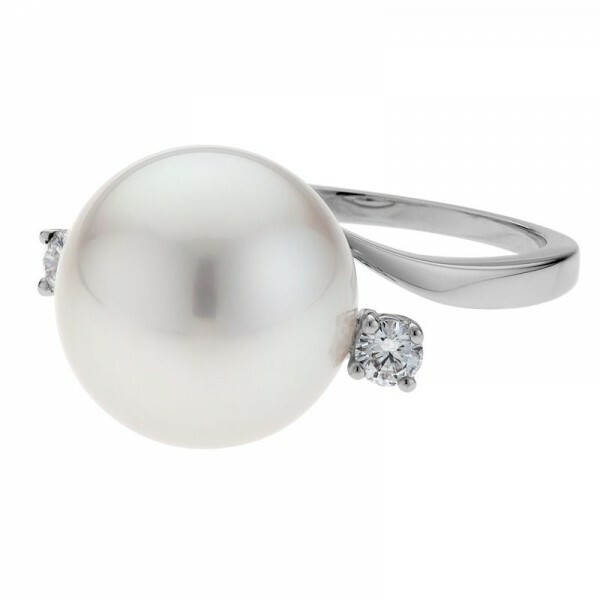 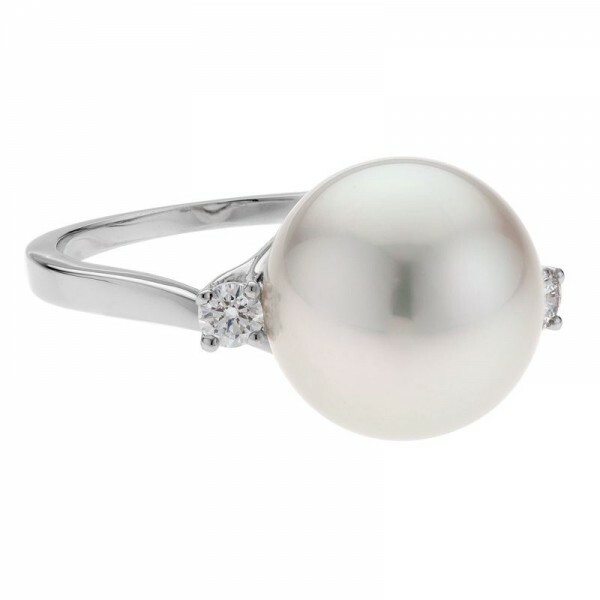 A fine band sweeps up and wraps under a perfectly round South Sea pearl to suspend two brilliant white diamonds on the shoulders. 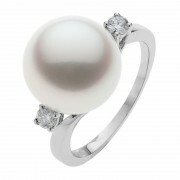 A simply beautiful design from every angle, expect admires to comment whenever you wear it.